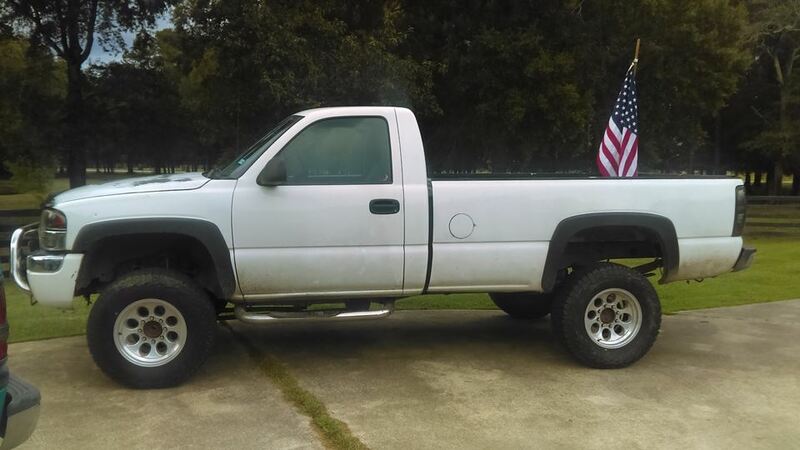 This is my 01 GMC 2500. I've had it since February and I love it. It looked alot different when I first got it. It was a pretty boy truck with 35s on 20s and chrome toe mirrors and Led lights under it. I decided to separate from the pack and go old school redneck with it. It's a big work in progress but it's happening a little at a time. I love the truck. It has a 6.0 I would like to spice up and get a new hood for it. It's no beautiful queen but she'll work for me. It's gonna be my creation that'll stand out. ***update*** I'm getting a ladder rack for it. Imma add led kc's on the rack in the future.